Member Forums This area is for members who have elected to have their own personal forum on this site. All forums are open to the public for viewing and posting messages. Since Connie and I have retired the SerpenCo business, topics here will focus on topics of a more personal and general nature. Just a place to park this year's breeding plans and progress, come take a look and see what I have cooking! Welcome to SnickerSnakes- where the pretty snakes are! 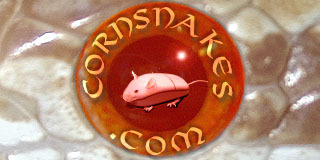 I love striped cornsnakes in red, white, purple, peach and pink. Foundation stock, breeding plans, and hopefully hatchling news! Welcome! Mystic Exotics is a small, home-based business in the PNW. Here you will find photos of my animals, breeding projects, and occasional random fun stuff. Thank you for visiting! Welcome! Here you will find photos of my snakes, breeding plans, snakes for sale, etc. Plus, some general conversation, sharing, &/or discussion.